Thirteen images of what looks to be a miniature version of the HTC One have been leaked after being published to the site, Forte. 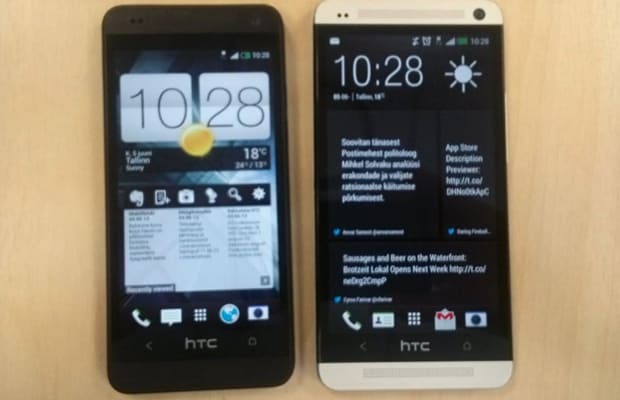 The images display the smaller device side-by-side with the original HTC One, showcasing its smaller 4.3-inch size. The site says that the &apos;mini&apos; reportedly comes with a 720p display, a dual-core processor, 2GB of RAM, 16GB of storage, and a 4MP "UltraPixel" camera—not unlike the original. There&apos;s still no word when it will be available, but rumors are pointing to an announcement at the end of the month.